Last Saturday, I joined other food bloggers on a food trail organised by Clarke Quay and Food & Travel magazine. 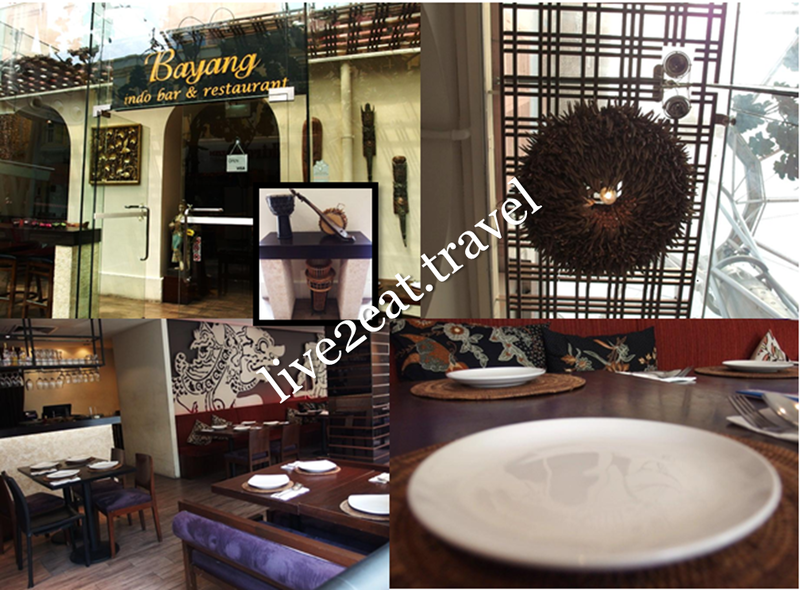 Our first stop was at Bayang, a Balinese Indonesian restaurant located at Block A facing Block D. Choose between the air-conditioned indoors or alfresco outdoors, with bar stools along a high wooden table by the glass façade offering the best of both worlds – to people watch in cool comfort. Stepping in, I noticed decorative pieces that gave the spacious place with lots of wood (think wooden floor, tables and chairs with backrest) an Indonesian charm. On the wall behind comfortable bench seats with cushions, were Wayang Kuilt or Indonesian shadow puppets in white. Baskets of emping crackers with chilli sauce to dip in, and glasses of lime juice were placed on our tables. And as we settled in, the appetiser platter was served. Preferred the succulent grilled prawns and tender chicken satay to the begedil and fried spring rolls even though they were not oily. Next to arrive were small bowls of Soto Ayam Madura, one each for everyone. Was pleasantly surprised there was boiled egg in the clear chicken soup with glass noodles and shredded chicken. 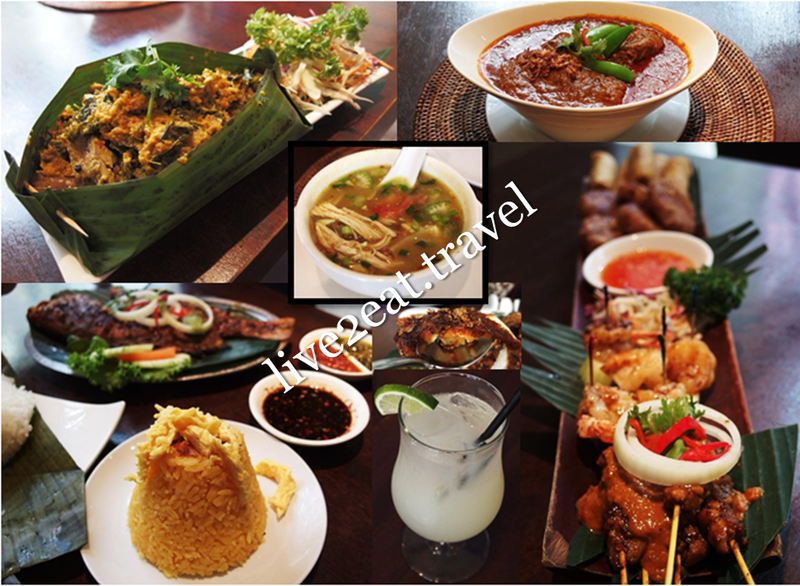 This was followed by Rendang Sapi – braised beef in thick spiced coconut gravy and Bebek Betutu, baked duck with Balinese spice in banana leaf. Both meats were tender but the former had a nice aroma of the rich spices it was simmered in and was so good that the latter paled in comparison. Highlight of our meal here was the Ikan Bakar Bali where the whole fish with a special sweet sauce, which was not too sweet, was slowly grilled over charcoal to retain its moisture and the skin was crispy (not hard). It came with dipping sauces I felt was unnecessary. While I did not try the white rice steamed in banana leaves, took a mouth of the fried egg strips on top of the yellow coconut rice. This was followed by Xiao Chen Gu Shi, located at Block E facing River Valley Road. Red chopsticks in metal tins stood out against marble table tops with wooden legs and retro floor tiles. 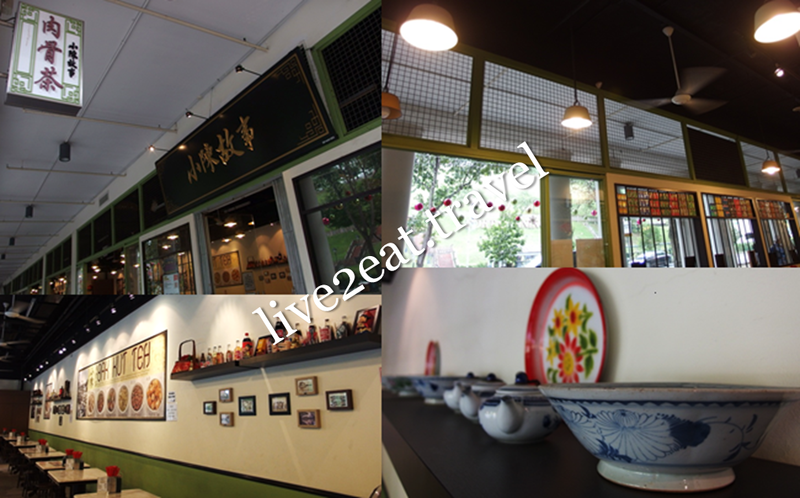 Enamel bowls were inverted as lamps hanging from the high ceiling, with more enamelware displayed on wooden shelves with old school ceramic bowls and pots among others. 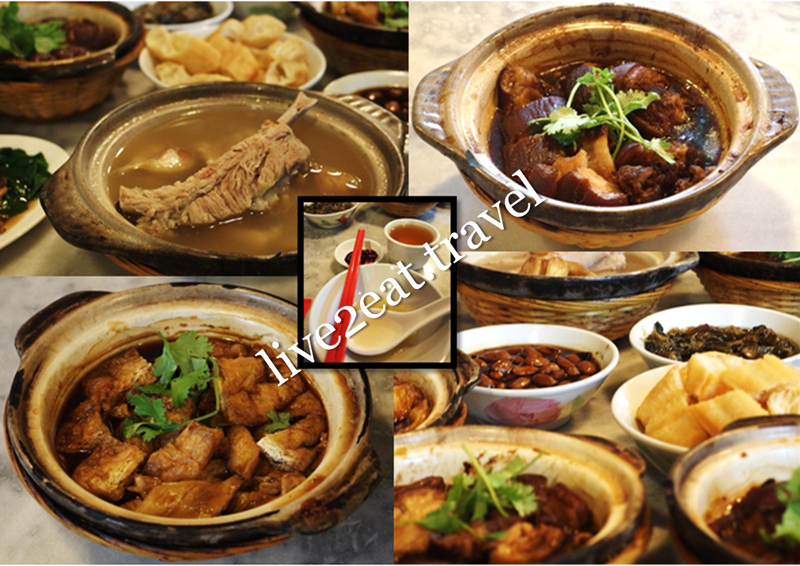 Seated on wooden chairs, we tucked in to a spread of Teochew-style bak kut teh, braised tau kee and tau pok served in claypots as well as sides of braised peanuts, fried dough fritters and small pak choy in oyster sauce. I would prefer the spare ribs soup to have a more intense flavour and the spare ribs to be as tender as the braised pork. The latter and braised peanuts, though a tad salty, were my favourite on our table. 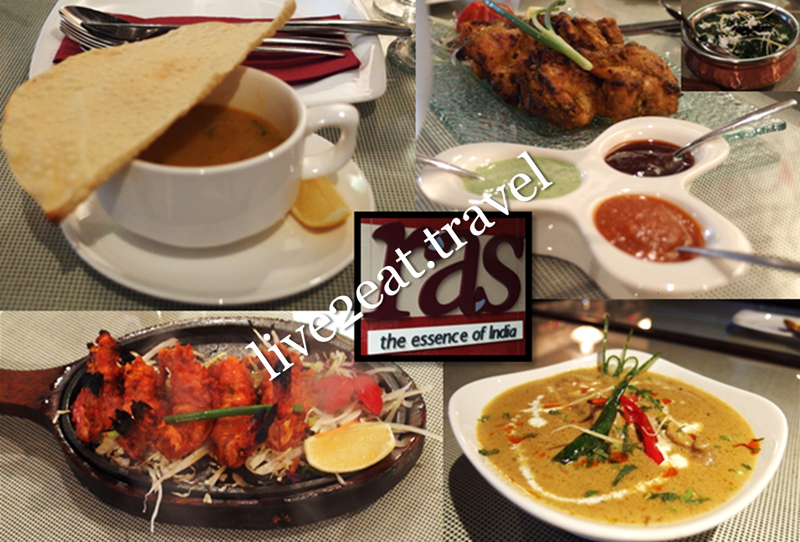 Last but not least was Ras the Essence of India, located at Block D facing the Singapore River. Started with papadam atypical of the usual ones I eat at Indian restaurants and Mulligatawny chicken soup, a curry and pepper flavoured soup that I tried for the first time and liked. Could neither rave about nor fault both starters – Tandoori Prawns and Murg Tikka Dilse, pieces of chicken marinated with yoghurt and dill leaf. Tried Kachi Mirchi chicken (pieces of chicken prepared with green chilli and cashew nut paste) and Rogan Gosht, boneless pieces of lamb in thick brown gravy that I used as a dip for naan, for main courses and gave Palak Paneer and Dal Makhani a miss. Other than being too salty for my liking as with most of the dishes, they were better than I expected. 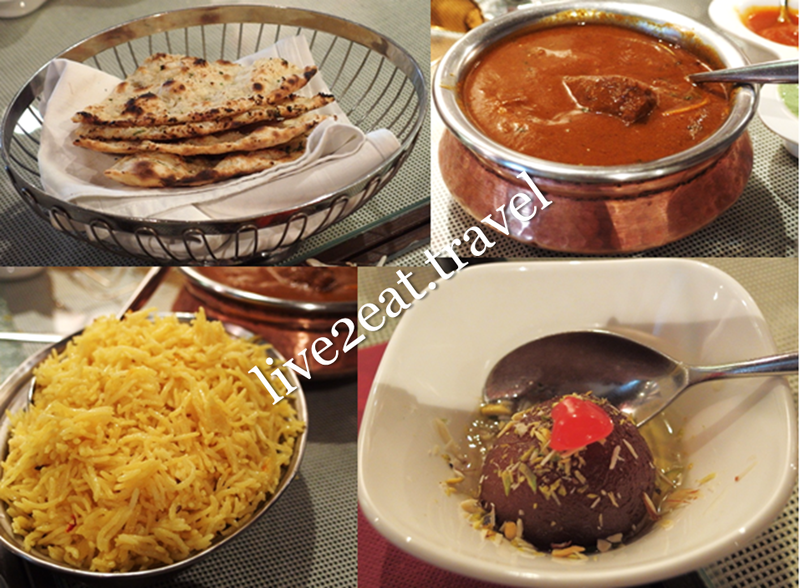 Did not like Saffron Jeera Pulao, basmati rice cooked with saffron and tempered with cumin seeds, and dessert of Gulab Jamun, milk dumplings dipped in sugar with honey sauce syrup, which was cloyingly sweet.